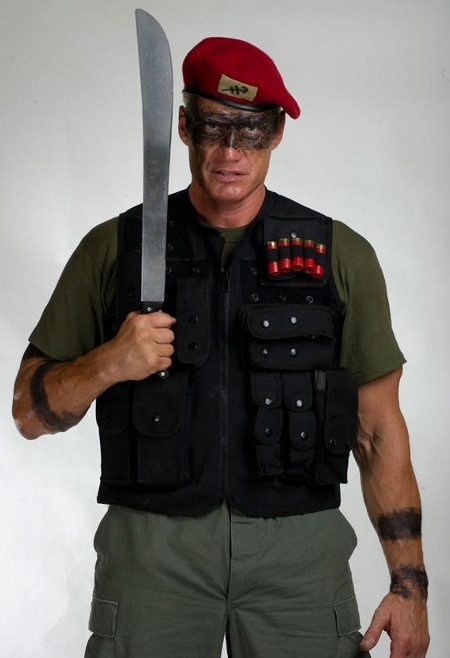 It shouldn't be too long until the 3D release of UNIVERSAL SOLIDER: A NEW DIMENSION but for now we have these new promo shots of Jean Claude Van Damme, Dolph Lundgren and Scott Adkins , all armed with machetes. I enjoyed Universal Soldier: Regeneration and it's no surprise they brought the team back together for another installment including US:R director John Hyams. Rus Blackwell, Mariah Bonner, Kristopher Van Varenberg, Andrei Arlovski and Audrey P. Scott also co-star in in the film.